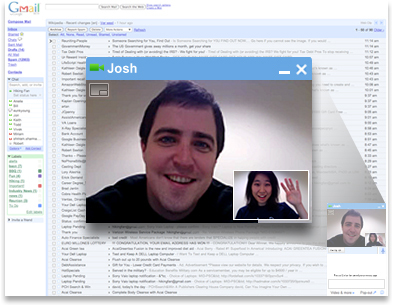 This week, Google added voice and video chat to its web based mail service. I haven’t tested these features out yet, but I know that the Google Talk client has a lot of fans. Also, Google recently added an option to force an https connection each time you access Gmail (look at your settings in the top right hand corner of your Gmail account page, then look at the “Browser Connection” on the bottom of the setting page). It is recommended that everyone turn this option on as hackers recently devised a tool that can automatically steal IDs of non-encrypted sessions and break into Google Mail accounts. One caveat though, making this change will break the Gmail notifier (if you use it), but you can solve that problem by following the steps outlined in this article.